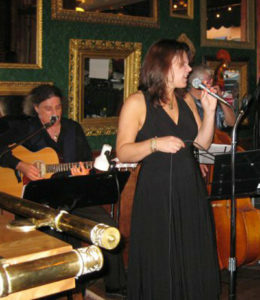 Sonja Lee Band. Sonja’s deep rich vocals swirl in and out and entwine the quality jazz performed by the other band members. All top quality talent in this group. You’ll be ordering top shelf and tapping you toe all night. The styles mix and blend into blues, and soul with jazz undertones throughout.